America’s #1, Undisputed Office Junk Removal Crew! 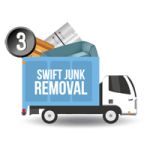 If you’re finally ready and willing to get rid of all that junk and clutter in your office or place of business, then it’s time to call the only trusted name in office junk removal across the US. That name is, The Stand Up Guys Junk Removal Crew. 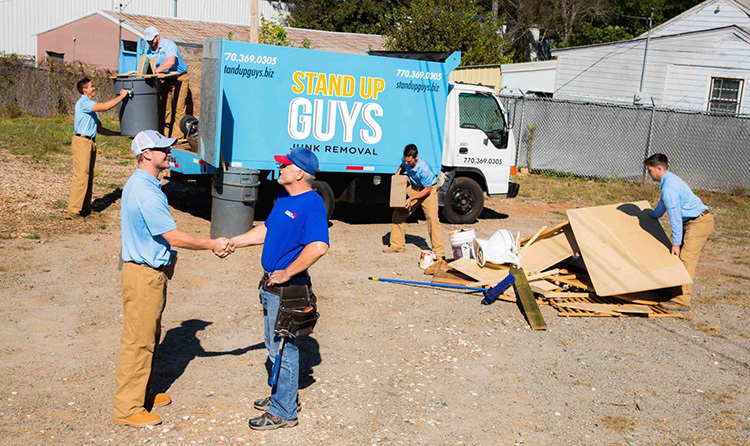 Whether you’re looking to get rid of old, outdated office furniture and appliances, or simply wanting to get rid of the excess junk laying around the dumpster, The Stand Up Guys are your best bet. 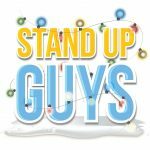 The Stand Up Guys are number one in office junk removal in your area for many reasons, but here’s a few for fun. One, we have the most outstanding customer care and customer service in the business. Our customers needs always come above all else, it’s that simple. Two, our Stand Up Guys! Our Stand Up Guys are clean cut, respectable and professional 100% of the time. This means that you’ll never have to worry about anything when we’re around your business, your customers and your clients. If anything we can actually help you look EVEN better! 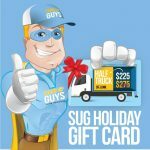 The Stand Up Guys Junk Removal Crew offer office junk removal and office clean outs all across the great United States of America. 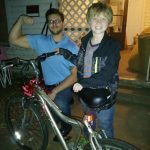 This currently includes, the following states; Florida, Georgia, North Carolina, Oregon, Tennessee, & Texas with more being added all the time! 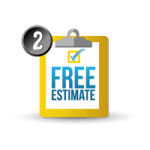 No matter where you are, The Stand Up Guys Junk Removal Crew will find a way to get to you, that’s how much we care! If after reading this page you’re convinced (I mean why wouldn’t you be?) and are ready to rock and roll with your office junk removal, simply pick up the phone and give us a call at 1-844-784-5865 (SUG-JUNK) today. 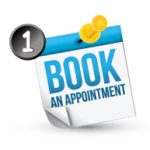 Or you could even go ahead and book your appointment online now with our virtual calendar. Whatever is easiest for you! 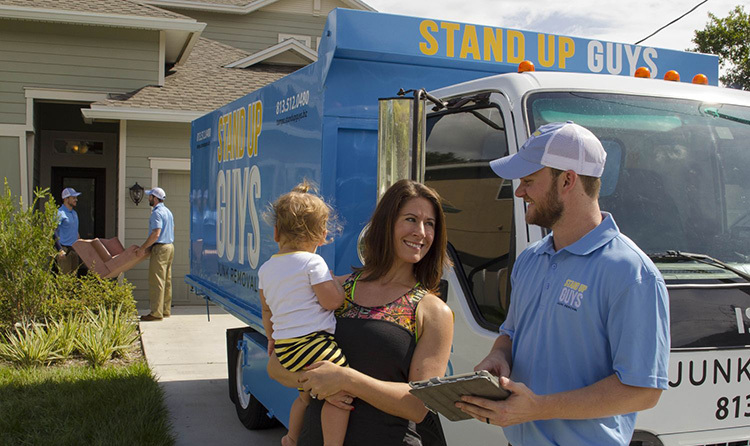 The Stand Up Guys Junk Removal Crew will come to your commercial office, studio, or building and provide you with a FREE Estimate! When achievable, The Stand Up Guys recycle and donate any and all re-usable items back into your communities local donation centers. FILTERING – Stand Up Guys sort through all the office junk in order to find items that can be donated or recycled. 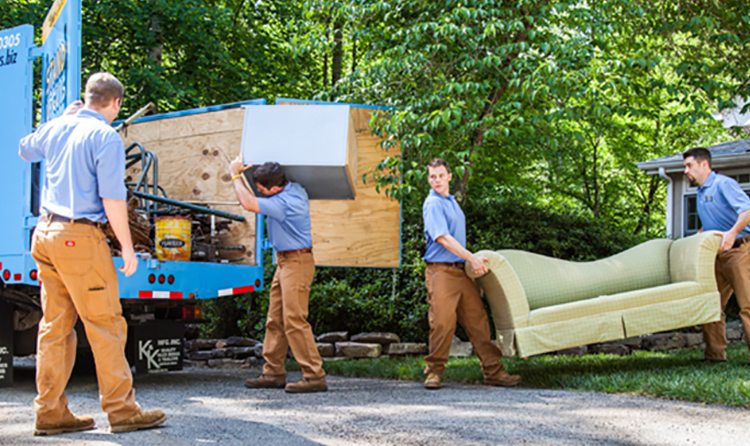 LOADING – We take care of all the heavy lifting and loading. This way you dont have to lift a finger! 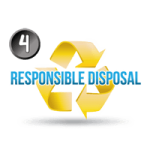 JUNK REMOVAL – Once everything’s loaded up, we dispose of all your office junk responsibly. ECO-DISPOSAL – We take all the remaining items and drop them off at local donation and recycling centers in the community.